Houston, we have a problem! Phineas L. MacGuire (a.k.a. 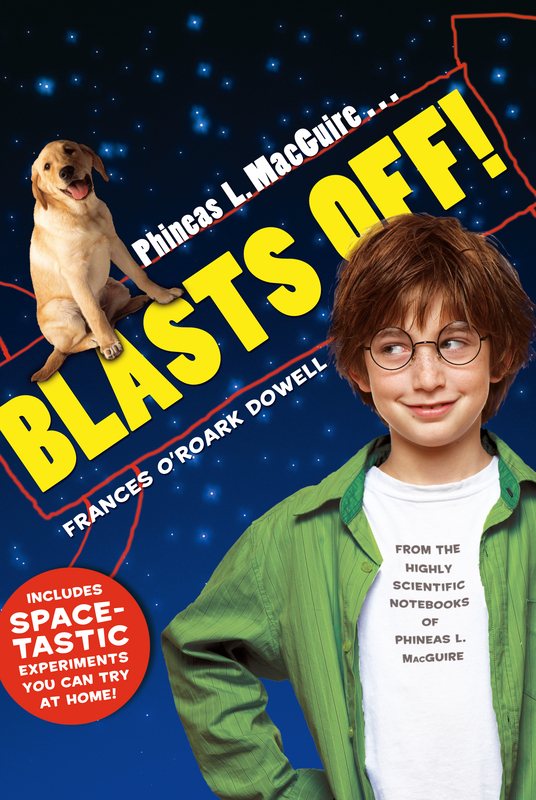 Mac) has a lot to learn about outer space if he’s going to be the best scientist in the fourth grade. To get the knowledge he needs, Mac is determined to go to space camp, but his mom says he has to earn the money himself. Houston, we have another problem: a gigantic, slobbery dog named Lemon Drop. Mac can earn the money he needs by walking Mrs. McClosky’s yellow Lab—but how will he survive the walks? Good thing Mac is a scientific genius with friends like Ben and Aretha. Together the three of them discover that Lemon Drop is no ordinary dog—in fact, the pup is a real-life “Lab”oratory. Book Cover Image (jpg): Phineas L. MacGuire . . . Blasts Off!